Throughout Asia and the world, sustainable architecture provides cities with solutions for reducing the negative consequences of our buildings—to ensure healthy and viable living for future generations. 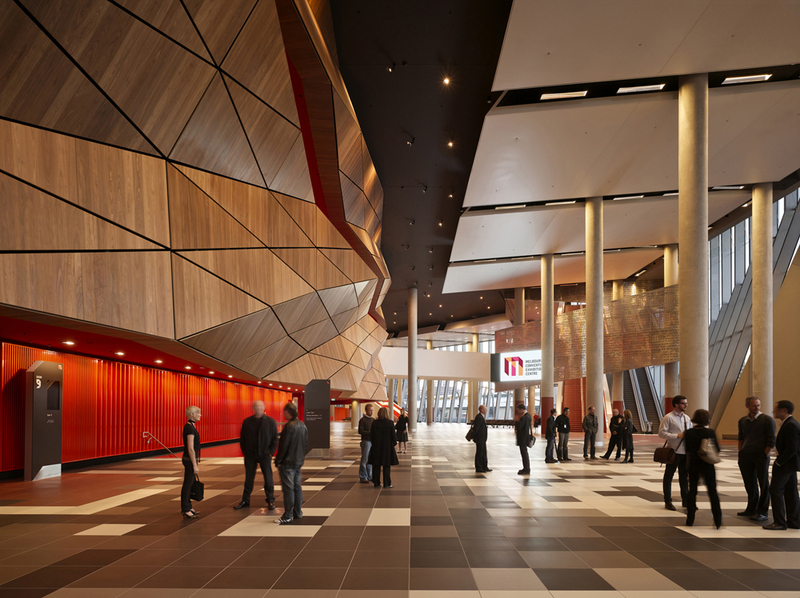 Australia’s Melbourne Convention and Exhibition Centre (MCEC) is the only ‘6 Star Green Star’ environmentally rated convention centre in the world, and the recipient of some of the industry’s top international awards. 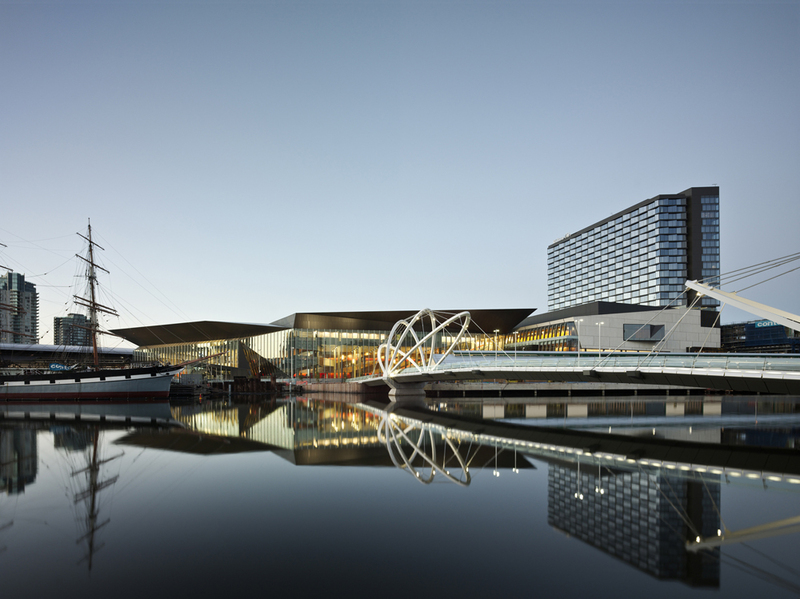 A Green Star Centre: In achieving a six star Green Star design rating the MCEC has set a new benchmark in the delivery of sustainable buildings and particular Convention Centres worldwide. 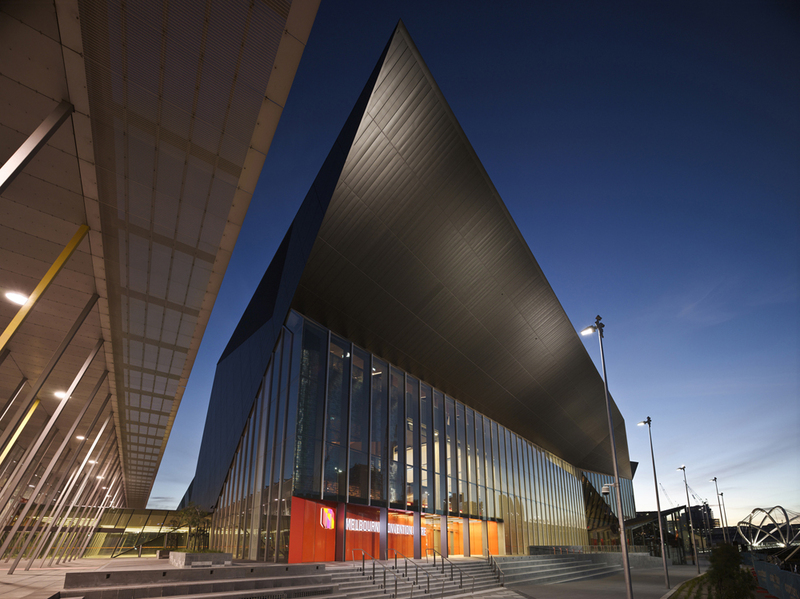 Zinc-clad Roof: The large roof soffits are clad in black zinc to define the triangular form of the building. One-of-a-Kind Foyer: The entire foyer floor has individually coded vitrified ceramic tiles on a 600x600 grid including stainless steel service access tiles, below which is an incorporated in-floor hydronic heating coil system for both hot and cold water. 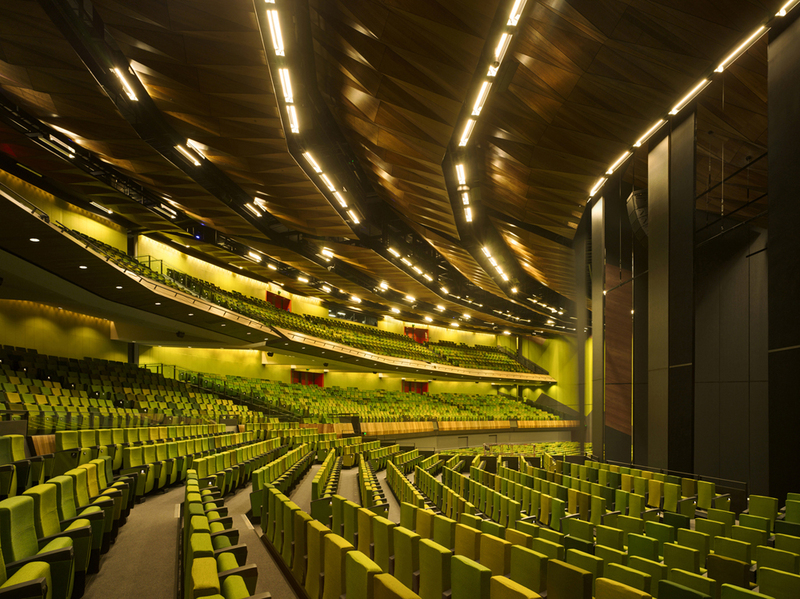 A Flexible Space: The Planery Hall is a completely flexible space able to operate in nine different modes. 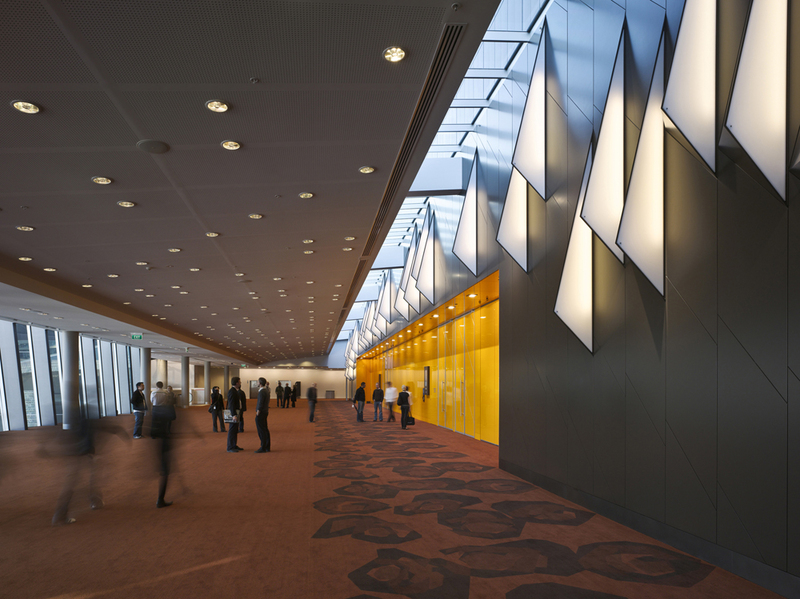 ‘Pineapple’ Wall: The design of the panelled ‘Pineapple’ wall was carefully calculates to allow for a positive and negative alignment of five triangulated profiles creating the troughs and peaks of the circumference. 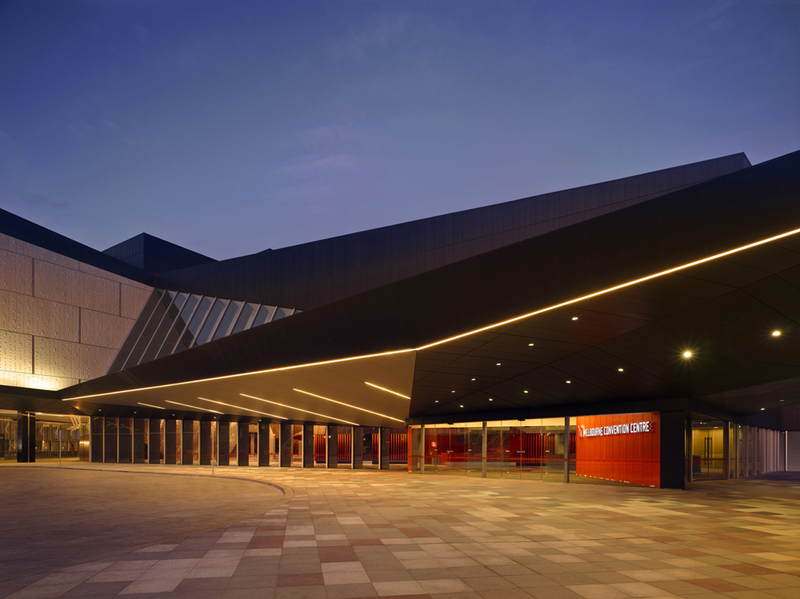 Covered Public Space: The 40m southern cantilever from the building façade line provides a covered public space for external exhibitions. 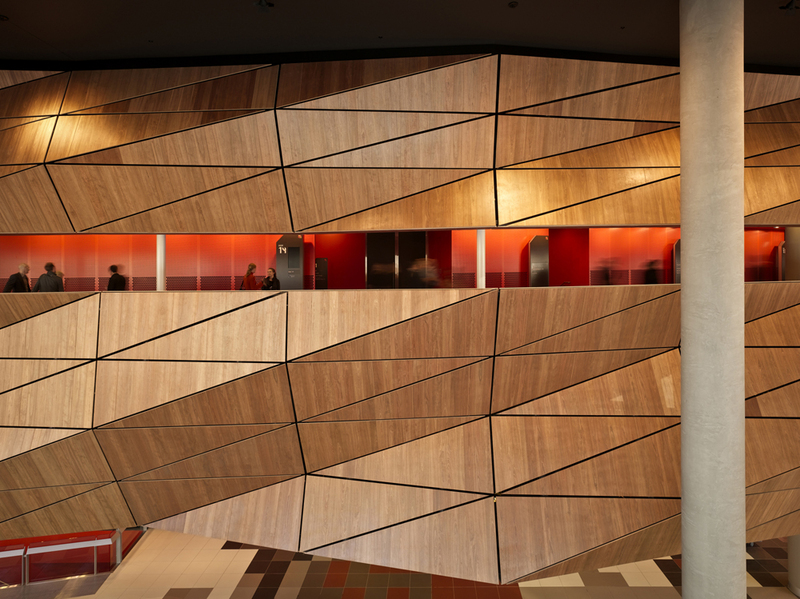 Modern Illusion: Framing the Banquet Hall entrance, the wall lights are finished in black zinc paint producing the illusion that the façade enters the building through the skylight above. 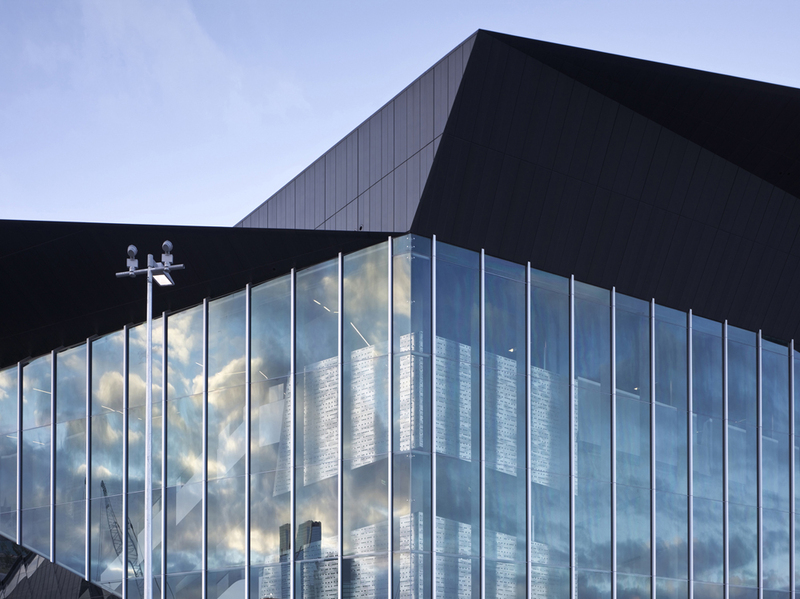 Incredible Views: Expansive glass façade provides incredible views and allows a high degree of diffused natural light with spectrally selective glass. 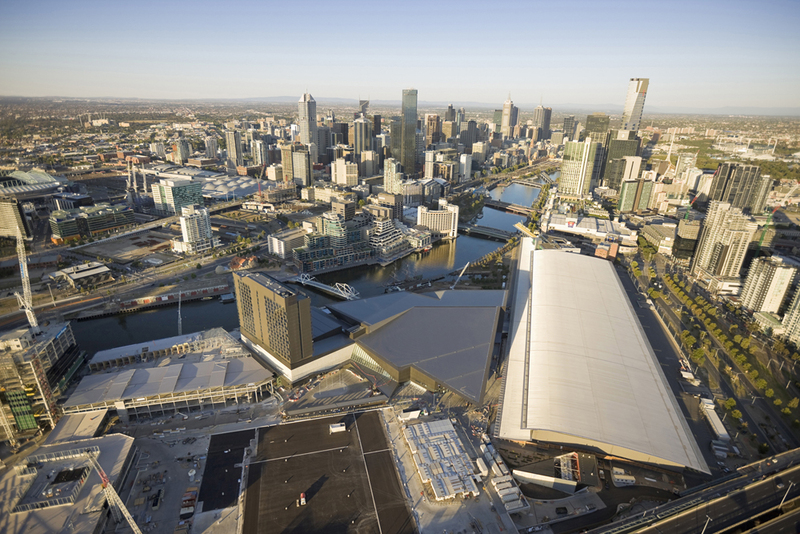 A Prime Civic Presence: On a bend in the river, the MCEC commands a prime civic presence, at the crucial intersection of old city, newly activated Southbank and future Docklands expansion. 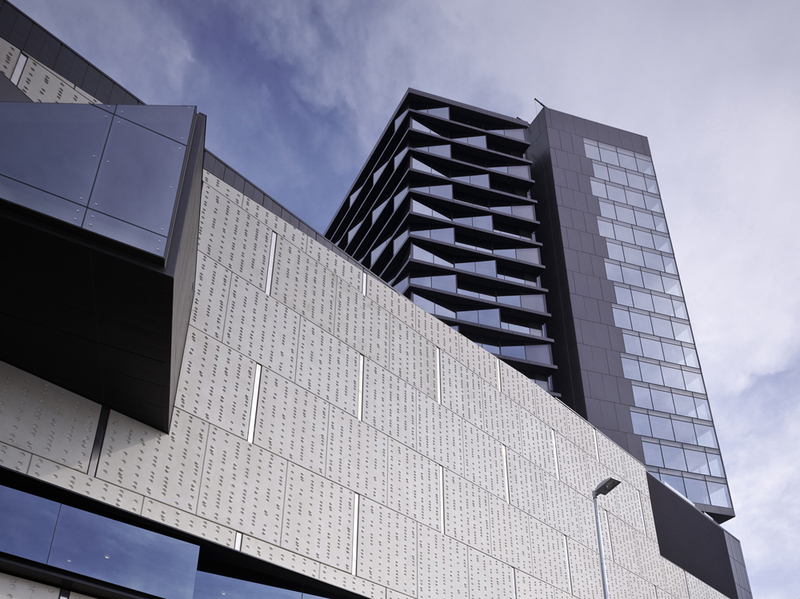 ‘Hit and Miss’ Pattern: The vertical faced of the Hilton Southwharf is articulated in a ‘hit and miss’ pattern to accentuate the change of light over the course of the day.